OVERLAND PARK, KS, August 1, 2018 – United States Youth Futsal (https://www.usyouthfutsal.com) United States Youth Futsal is dedicated to providing excellence on and off the court and wants the best technology solutions for its players, families, coaches, and leagues. To achieve this goal, U.S. Youth Futsal announced today a long-term technology partnership with Stack Sports, the largest and fastest-growing global provider of sports technology, leveraging the U.S. Soccer Connect platform to benefit USYF’s leagues. By leveraging U.S. Soccer Connect, a data, and technology solution for leading associations, U.S. Youth Futsal is on the cutting edge of new technology-driven engagement with its membership. Through U.S. Soccer Connect’s integrated web and mobile platforms, U.S. Youth Futsal will provide its members with a significantly improved player registration process and adherence to the required standards for FIFA Connect and the International Clearance Certificate (ITC) process. The system will also provide USYF’s leagues with a seamless integration to platforms such as U.S. Soccer’s National Data Center and U.S. Soccer’s Digital Coaching Center. The partnership kicks off with Stack Sports providing a comprehensive and unmatched suite of products serving the U.S. Youth Futsal community including streamlined online registration and payments, event, team and roster management, scheduling, communications, video analysis and back office management. USYF’s more than 115 futsal Leagues will be taking advantage of the new online registration, league scheduling, roster and competition management and financial tracking and communication tools as of August 15, 2018. 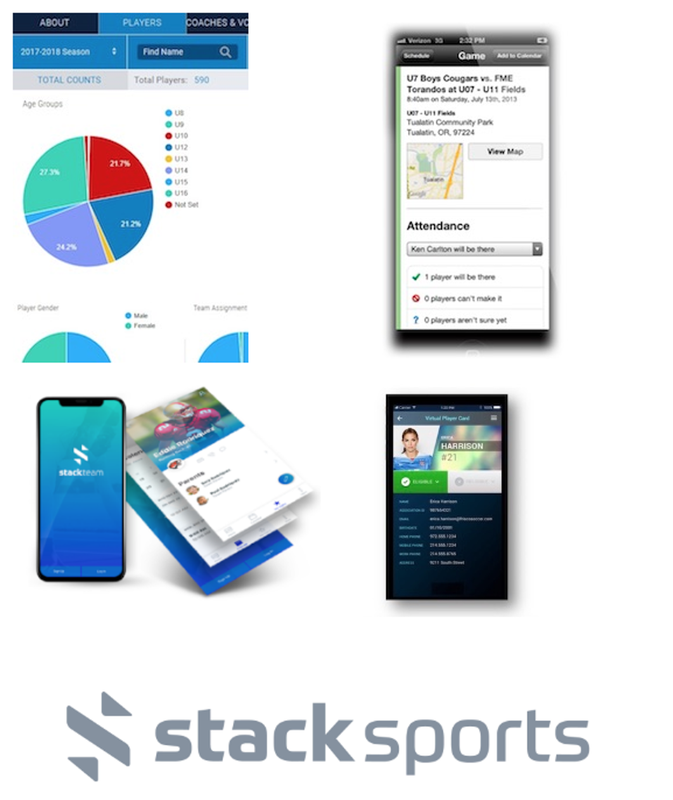 With over 45 million users in 32 countries, Stack Sports is the global leader in sports technology providing an integrated technology platform for national governing bodies, youth sports leagues, clubs, and associations. Leading companies in the Stack Sports portfolio include Bonzi, Pointstreak, Goalline, PrimeTime Sports, SDI Camps, LeagueLineup, RaceWire, Bigfoot Hoops, GroupNet Solutions, Krossover, CaptainU, Student Sports, GlobalApptitude, SportsTG, STACK, On The Mark Sports, Amazing Race Timing, Rogue Multisport, Skyhawks, eCamps, TEAMINN, CrazyRaise and Eclipse Timing. Stack Sports is headquartered in Plano, Texas and backed by Genstar Capital, the NFL’s 32 Equity, Jerry Jones of the Dallas Cowboys, Providence Equity and other leading sports and technology investors. To learn more about how Stack Sports is transforming the sports experience, please visit http://www.stacksports.com. To learn more about how U.S. Soccer Connect can help your club, league or referee chapter, contact Info@stacksports.comor call 866-892-0777. “U.S. Soccer Connect is the largest commitment of technology and support resources to any project in American sports history and will improve the soccer experience for everyone in the game. In the summer of 2016, Stack Sports was selected to build the first-ever U.S. Soccer National Data Center (NDC) and U.S. Soccer Connect, an integrated online sports management tool created to support the day-to-day operations of U.S. Soccer Member Organizations and the thousands of affiliated leagues, clubs and referees across the country. This month, we are proud to announce our new partnership with Stack Sports to offer the U.S. Soccer Connect platform to benefit USYF’s leagues.